The 2014 season has been a difficult one for the Cincinnati Reds and their fans. Sitting at 31-34 and eight games out in the NL Central, the Reds find themselves in a difficult situation. Are they going to compete over the rest of the season and aim for one of the two Wild Card spots (which didn’t work out so well for them in 2013), are they going to become buyers to get over the hump and make a run for the division, or are they going to have a fire sale and start things over again? With so much money invested in Joey Votto and Homer Bailey, it seems nearly impossible for the club that consistently screams small-market and small payroll to right this ship quickly, but there is a deal out there that could make a lot of sense for the Cincinnati Reds. When the Reds signed Bailey to a six-year, $105 million extension, they seemed to have closed the door on any extensions for Johnny Cueto (a free agent after the 2015 season who has a $10 million team option for 2015), Mat Latos (arbitration-eligible in 2015 and a free agent after the 2015 season), and Mike Leake (arbitration-eligible in 2015 and a free agent after the 2015 season). The Reds have a nice problem right now with Latos coming back from his elbow injury and having to decide who to boot from the rotation between the breakout, 9-win starter Alfredo Simon and the young, hard-throwing lefty Tony Cingrani; however, beyond the six pitchers (Cueto, Bailey, Latos, Leake, Simon, and Cingrani), the Reds starting pitching depth is rather weak. Jeff Francis is the club’s top option from Triple-A Louisville, while the club waits on the maturation of Robert Stephenson and Michael Lorenzen at the Double-A level to refine the future of the Cincinnati rotation. With that being said, the Reds are in desperate need of offensive production. The club ranks 26th in MLB in team batting average, 25th in MLB in OPS, and 25th in wOBA. With Joey Votto’s knee injury and Jay Bruce‘s lack of production (.212/.320/.364, 89 OPS+), the Reds have leaned heavily on the production of Devin Mesoraco and Todd Frazier to keep the team treading water during the struggles and absences of the stars, but the Reds could use an influx of offensive talent, and the only way to do that is to deal from the club’s strength. Cincinnati Reds Trade Mat Latos to the Los Angeles Dodgers for Matt Kemp and cash considerations. With the cost of a win reaching $7 million and the revenue streaming in from MLB Advanced Media and television contracts, small market teams could find it quite challenging to shell out the kind of money necessary to compete with large market clubs in free agency. For that reason, the Reds could acquire a talented, powerful right-handed batter from the Dodgers to put into the middle of the Cincinnati order between Votto and Bruce, while improving the less than stellar production in left field that has managed a .672 OPS for the Reds in 2014. Matt Kemp is due a whopping $107 million between 2015 and 2019, but whoever takes on the contract from the Dodgers could acquire cash, as well, due to Kemp’s struggles with injuries over the last couple of seasons. When the Dodgers took on the Adrian Gonzalez, Josh Beckett, and Carl Crawford contracts, they added hundreds of millions of dollars in payroll, which made the Andre Ethier contract and the Matt Kemp contract seem nearly immovable due to the money and years involved. Unfortunately for Los Angeles, Ethier’s contract is quite possibly the worst contract in baseball ($56 million between 2015 and 2017), while the club has very little leverage in trades due to the gluttony of outfielders that the club has with Crawford, Kemp, Ethier, Yasiel Puig, and Joc Pederson raking in the minor leagues. By trading Matt Kemp and $30 million in cash considerations, the club would rid themselves of $77 million in payroll over the next five season ($15.4 million per season), while acquiring additional talent to compete in the NL West. Mat Latos would be the perfect acquisition for the Los Angeles Dodgers if they were to trade Matt Kemp. Latos, while coming off of some elbow and left knee woes currently, is just 26 years old. 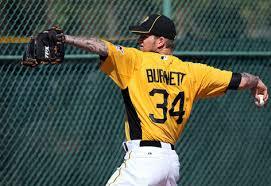 He has compiled a career 3.35 ERA and 1.17 WHIP over 849.2 career innings. Prior to the 2014 season, since he hasn’t thrown a pitch yet as of this article being posted, Latos had missed time to the disabled list twice in his career (2010 for an abdomen strain and 2011 for shoulder inflammation), but he hadn’t had any types of surgeries until bone spurs were removed from his elbow after the 2013 season and the surgery to repair his left meniscus this spring. Latos makes a lot of sense for the Dodgers with Josh Beckett heading towards free agency, taking his $15.75 million salary off of the books. Latos would sit nicely in the Los Angeles rotation with Clayton Kershaw, Zack Greinke, and Hyun-jin Ryu, especially with Chad Billingsley and Dan Haren having options that may lead to their dismissal from the rotation and club in 2015, as he would solidify an already dangerous rotation. 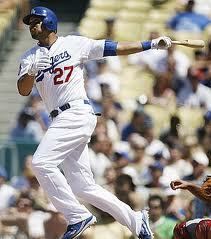 Can Kemp lift the Reds offense to new levels or is this unlikely to happen? While the Reds would miss Latos in the rotation, they still have quite a bit of existing talent, at least through the 2015 season. By taking on five-years and $77 million in Matt Kemp, the Reds would be paying less on an annual basis for Kemp than what Shin-Soo Choo is getting paid annually by the Texas Rangers after he left Cincinnati for a seven-year, $130 million deal. Kemp is just 29 and the right-handed power in the cleanup spot can’t be understated when he could be put between Votto and Bruce. If you consider that the Reds are paying Ryan Ludwick $7 million in 2014 and he has a -0.1 WAR, you can see how it would make perfect sense for Cincinnati to pay an additional $8.4 million to have a player like Kemp take his spot in left field in 2015. Would the Dodgers do this type of deal? Perhaps if they are given an opportunity to work out an extension with Latos prior to the completion of the deal, and, a bigger question, would the Dodgers include that amount of cash without receiving additional talent with Latos, or is the loss of $77 million in future payroll worth making the deal? For the Reds, their long-term pitching could take a hit, but they already knew that they could potentially lose three starters after the 2015 season going into this season, which is likely why they acted quickly on Homer Bailey. Now, Cincinnati needs to act on adding to their offense, as the additions of Skip Schumaker and Ramon Santiago by Walt Jocketty this past offseason has done nothing to help the club. 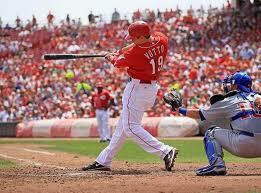 It is time for the Cincinnati Reds to a make a change. 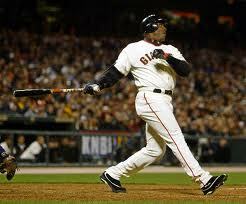 Dusty Baker needs to go. On the heels of another postseason defeat, one in which Baker’s decision-making was quite questionable, this is the time to make a change. Reds General Manager Walt Jocketty said that “He’s signed for another year,” but he also said, “we’ll sit down in the next couple of weeks and evaluate and try to see what we can do to improve things.” What seems like a vote of confidence is sort of a broad, vague, we’ll have to see type of statement. 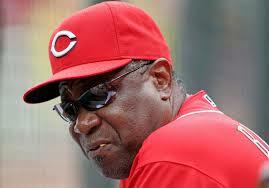 Certainly, the Dusty Baker-era in Cincinnati hasn’t been terrible. The team has made the postseason three of the last four seasons, winning 90 or more games in those three seasons; however, in three of Baker’s six seasons, the Reds have had losing seasons. Does Baker have what it takes to get this club over the hump? The problem with this statement is that Baker can’t get into Johnny Cueto’s head. Does Cueto really thrive in playoff environments? I guess this is Baker’s proof: Cueto had started two games in the playoffs in his career prior to last night and he had a 1.69 ERA. The only problem is that he lasted all of 1/3 of an inning before he was removed from last season’s NLDS start against the San Francisco Giants with an injury, and his only other start was a five inning loss to the Philadelphia Phillies in 2010. Was Cueto the answer as the starter in the one-game playoff? Nevermind the 130 days that Cueto spent on the DL this season. Nevermind that Mike Leake was available and he didn’t pitch on Tuesday, despite being 3-0 with a 3.28 ERA over four starts against the Pirates in 2013. Baker went with his horse, Cueto, who had pitched all of 12 inning since June 28. It isn’t as if Dusty Baker is very aware of the use of statistics, instead flying by the seat of his pants to make decisions. “All I know is that my eyes see plays and see things that save games,” this was a quote from Baker when discussing Darwin Barney and Brandon Phillips as Gold Glove worthy second basemen from the Chicago Sun Times; however, his eyes didn’t seem to save him on Tuesday night. Just presenting this: Dusty Baker has managed for 20 years, almost all in WC era. He’s won two postseason series (2-6). Great players don’t always make great teams, but it certainly helps. Does anyone out there think that the Oakland A’s would have won the AL West this season with Baker at the helm? Regardless of where Baker could or should have been, he doesn’t belong in Cincinnati going forward. The Reds have a window with their current club, the 2015 season (after which Mat Latos, Cueto, Ryan Ludwick, Sean Marshall, Mike Leake, and Alfredo Simon are free agents) likely it, and after the club lost the final six games of the season, including the Wild Card game against Pittsburgh, while showing very little effort in losing twice to the New York Mets before being swept in a three-game series at home against the Pirates to end the regular season, it is fair to wonder if Baker has the leadership skills necessary to motivate the Reds to play hard and get over the hump. You’re telling me that in the middle of a playoff race, men playing a game and making millions of dollars can’t motivate themselves? There was no one stepping up and saying anything to fire the group of men up within the clubhouse? This isn’t just a one-time call as a Cincinnati native, overreacting to the failure of another lost season. This is a continuation of failures that continue to go unnoticed by so many. All of the times that Ryan Hanigan started over Devin Mesoraco. All of the times that the No.2 spot and No.4 spots were juggled. All of the times that Jay Bruce and Joey Votto were split up in the lineup because they’re both left-handed, instead of utilizing their skills back-to-back in the middle of the order. All of the times that Aroldis Chapman would pitch three or four days in a row and then not pitch for a week. It has been apparent for some time that this wasn’t working. The Cincinnati Reds lack leadership and it all starts with the manager. 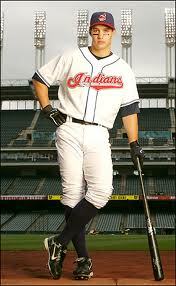 Look how far the Cleveland Indians have gone this season with Terry Francona taking the reigns. Ignoring numbers and flying by the seat of your pants in decision-making leads to tremendous failure, and that is the way that 95-percent of teams have finished their seasons when Dusty Baker has managed them. While intelligent managers like Joe Maddon adapt to the changing game, Dusty Baker allows his teams to fade, he loses leads, and he has no true way of defining how he can make a difference as a leader. If you throw enough crap at a wall, eventually some of it will stick. It’s time for the crap to leave Cincinnati. It’s time for an intelligent leader. Fire Dusty Baker. While I write about as much of baseball as I can, I always come back to my hometown Cincinnati Reds, a team that I grew up watching that I continue to root for. 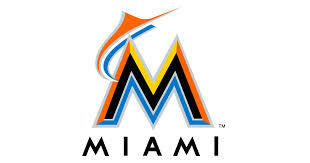 I’m fairly certain that the 2013 season will end in some sort of playoff appearance, likely a one-game playoff with the St. Louis Cardinals or Pittsburgh in the Wild Card round of the playoffs, but I am also not too confident in the club reaching the World Series this season, either. You can say that I am a “doubting Thomas” if you want, but with the talent in St. Louis, Atlanta, and Los Angeles this season, I just don’t see the Reds going very far. For that reason, I wanted to take a look ahead to the 2014 season to see what the club could look like. With the depth that the club has in starting pitching, barring another lost season from supposed ace Johnny Cueto, the Reds can afford to let Bronson Arroyo walk via free agency, unless, of course, he is willing to take a dramatic pay-cut in his age-37 season. How does the club look as far as depth overall? Relief Pitchers – (13) – Aroldis Chapman, Sean Marshall, Jonathan Broxton, Nick Christiani, Justin Freeman, JJ Hoover, Sam LeCure, Kyle Lotzkar, Logan Ondrusek, Curtis Partch, Josh Ravin, Alfredo Simon, and Pedro Villareal (has been pitching in relief recently). The loss of Shin-Soo Choo is pretty dramatic considering the skills that he has provided as the leadoff hitter for the Reds, as he is 2nd to Votto in on-base percentage in the National League. His production will have to be replaced, but who can provide the same skills. The Reds were likely hoping for another excellent season from Billy Hamilton, one of the team’s top prospects, in Triple-A Louisville this season, but, while he has stolen 73 bases, he is hitting just .259/.311/.347 after stealing 155 bases and hitting .311/.410/.420 in 2012 over two levels. If the Reds aren’t going to be in on Choo in free agency due to costs, it is also unlikely that they would make a play for Jacoby Ellsbury or Curtis Granderson. However, the club could look to a reclamation project in center to pair with Hamilton, such as: Chris Young (who has an $11 million option with a $1.5 million buyout, coming off of an unspectacular season but still possessing plenty of skills), Franklin Gutierrez ($7.5 million option with a $500,000 buyout, coming off of another injury-filled season but still a solid defender with occasional right-handed pop), or, my wife’s favorite, Grady Sizemore (a player well on his way to a Hall of Fame career before knee injuries stole his ability to stay on the field). Certainly, the club has had decent production, at times, out of Paul, Heisey, and Robinson this season, as they platooned in left field and kept the Reds in contention when Ludwick was out for several months, but they would need to upgrade from that group in center to come close to replacing Choo’s production. Due to the recent elbow surgery that Jonathan Broxton had to undergo and Sean Marshall‘s inability to pitch for most of the 2013 season, the Reds may need a couple of back-end bullpen arms to pave the way to their shutdown closer, Aroldis Chapman. Bullpens are tough to predict and it wouldn’t be a good idea to invest in another large, multi-year deal (as they did with Broxton) this offseason. Some relievers who will become available may include: Javier Lopez, Rich Hill, J.P. Howell, Jamey Wright, LaTroy Hawkins, Jason Frasor, and Joe Smith. Lock up Mat Latos to an extension. Latos is due $7.25 million in 2014 and will be arbitration-eligible for the final time in 2015 prior to reaching free agency prior to the 2016 season. Would the Reds be willing to commit to Latos at five-years, $65 million and is that enough to keep Latos in Cincinnati? Due to Tony Cingrani relying so heavily on his fastball, what can the club do to enhance his secondary pitches so that he can have extended success as a starter? Is he a relief pitcher long-term? 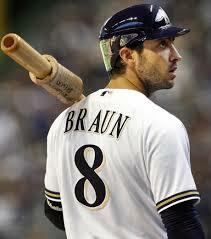 With Broxton and Marshall coming off of injury, would it be wise to commit to Cingrani in a set-up role? Should the club re-sign Bronson Arroyo to a one-year deal to keep a rotation spot warm for Robert Stephenson or should they gamble on Cingrani, Carlos Contreras, or Daniel Corcino next season as the No.5 starter? If they look elsewhere in free agency, are pitchers like Colby Lewis, Jason Hammel, Phil Hughes, Josh Johnson, or Ubaldo Jimenez (if he voids his $8 million option) better options than Arroyo? Who is the catcher? Should the Reds truly commit to the offensive potential within the bat of Devin Mesoraco or continue to share the duties between Mesoraco and Hanigan at nearly 50-50? Cincinnati has a pretty bright future, having locked up Votto, one of the top 15 players in baseball, to be the cornerstone of the franchise, while having solid pieces within the rotation and plenty more talent on the way. Hamilton, Stephenson, Jesse Winker, Phil Ervin, and Michael Lorenzen are going to rise quickly through the organization, just in time for the Reds current 2015 championship window. He has taken advantage of the injury to Ryan Hanigan by producing solid numbers as the everyday backstop; however, this hasn’t been the first time that Mesoraco has been given regular at-bats. Earlier this season, when Hanigan missed time due to an oblique strain, Mesoraco started 12 games. While he only hit .222/.294/.311 over 51 plate appearances, he only struck out 8 times and he was hitting more than Hanigan was at the start of the season (.079/.182/.079 in 44 plate appearances). With Hanigan set to reach free agency after the 2013 season, it is likely time for Cincinnati to see what they have in Mesoraco. After committing to him as the 15th overall pick in the 2007 MLB Draft and allowing him to develop, albeit slowly at times, to become the club’s minor league player of the year in 2010, the Reds have handled him pretty erratically since his promotion to Cincinnati. 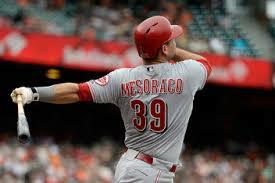 In 2011, Mesoraco played 120 games at Triple-A Louisville, while playing just 18 in Cincinnati late in the season. Mesoraco played in just 54 games in 2012, starting only 48 of those, while Hanigan and, eventually, Dioner Navarro, earned additional playing time, seemingly as discipline for Mesoraco bumping an umpire, which earned him a demotion to Triple-A on August 23. 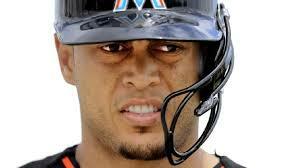 Certainly, a six game hitting streak isn’t going to guarantee that Mesoraco is the next Mike Piazza. His .455 BABIP will likely fall back to a realistic level (around .300) and his overall line will fall back in line, as well; however, with the Reds committing so much money to Joey Votto and the need to eventually extend Mat Latos, Johnny Cueto, and Jay Bruce, why shouldn’t they save some cash by letting Mesoraco, who isn’t arbitration-eligible until 2015, prove his worth? Hanigan, who is in the final year of a three-year, $4 million deal, will be 33 next season and could be a useful backup, considering the Reds don’t have any other prospects ready after including Yasmani Grandal in the deal for Latos. 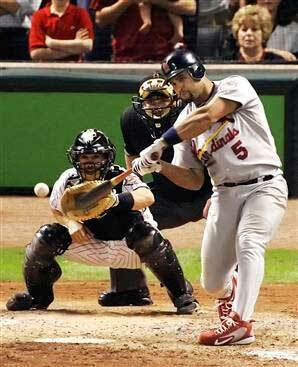 To get a little more offensively, however, is it worth the risk of having a defensively lacking catcher? I say yes, and with experience comes the defensive gains that Mesoraco will need to make to become an elite catcher in MLB. While the success that he has had over the last week has shown that he has the skills to produce, it is a small sample size, and he needs more consistent at-bats over the second half to showcase the type of player that he could be for the Cincinnati Reds.